Program #SCAJ003. Recorded in Fort Collins, CO on April 9, 2014. The national security beast is a terrifying behemoth that extends its tentacles across the globe. Like a many-headed hydra it grows and grows. It has an insatiable appetite for weaponry. For example, in late 2013, the navy launched the Zumwalt, the largest destroyer ever built. It came in for a cool $3 billion. But that’s a bargain compared to the new Ford-class aircraft carrier. Price tag? $13 billion. The beast has a life of its own. Presidents come and go but the war machine just chugs along. The “military-industrial complex” is always manufacturing new enemies to justify itself. The most urgent threat we face is climate change. Why not slash the Pentagon budget? For starters, cut the nuclear arsenal and mothball half the Trident submarines and use the money to protect the environment. I thoroughly enjoyed this talk as it was a good reminder to how complacent I’ve become as a citizen and the tragedy that is the overwhelming feeling of complacency/ apathy my generation (20s-30s) exhibits for the most part. Events such as those described in this talk are accepted as common everyday occurrences and the many degrees of separation we have from the deaths and targeted killings make it too easy to ignore the reality of the powerful few in this country. Thank you. I hope to learn more about what I can do as a citizen in the future. Glad I had the opportunity to listen over KKFI community radio in Kansas City. 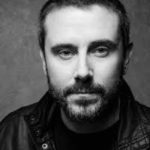 This morning I had the pleasure to listening to the Alternative Radio in Kkfi Kansas City radio, this fantastic journalist Jeremy Scahill the award-winning National-Security Correspondent. I would love to pass on this very important message and information to my sphere of influence as well as the Tweeter and Facebook as I already did, but asking each and everyone to spend $5 to download the MP3 is too much and is sure no one will do. I personally believe it’s worth it if you’re really wanted to know the truth and support your efforts and those great guys who do the work. But $5 for each download is a lot to most of us that we are in the fanatical struggle. We can’t afford it! I guess my question is, how can you help me spread all those good messages and information to as many listeners as possible? All Those messages YOU ARE BROADCASTING are very important and must be communicated to all the decent people around us and in the world. Don’t you think so? HOW CAN A GREAT MESSAGE LIKE THIS WILL HAVE AN IMPACT, AN EFFECT AND LEAD TO THE DESIRED CHANGE WHEN IT IS NOT ACCESSIBLE AND AFFORDABLE TO ALL THOSE MILLIONS OF GOOD CITIZENS WHO NEED “MUST” TO KNOW THIS? THANKS FOR YOUR GREAT WORK AND YOUR ATTENTION TO THIS MATTER. Am hopping to read from you soon.